No, it's not that cute white whale. Beloukha® is a new sunflower, bio-based, biodegradable contact herbicide from Belchim Crop Protection (formerly Engage Agro). It recently received EPA approval and is ready for state registration across the United States. Stop by Booth 2411. Beloukha is a non-selective, broad-spectrum, foliar-applied herbicide that acts exclusively by contact, attacking and destroying the cell membranes of the plant epidermis causing rapid tissue dehydration. Made up of 51.98% pelargonic acid, a naturally occurring substance sourced from sunflowers that breaks down into carbon dioxide and water, Beloukha provides burndown of both annual and perennial broadleaf and grass weeds, plus most mosses and other cryptogams. Beloukha is fast acting and effects are visible within 2 hours of application. It’s also proven to be rain-fast within 2 hours of applying. Beloukha is effective in various weather conditions, working faster when used in hot and dry weather and with a concentration rate between 4 and 6%. (see label for full Rate Table). CONTACT, non-selective, broad spectrum, foliar-applied herbicide. LOW ODOR - improved formulation BIODEGRADABLE - Soil organisms consume the C9 producing CO2 and H2O, that remains in the carbon cycle of life. PROVIDES BURNDOWN of both annual and perennial broadleaf and grass weeds, as well as most mosses and other cryptogams. FAST ACTING- visible effects on most weeds occur within hours. VERSATILE - use on turf, landscape, hardscape and ornamental areas. John Deere is displaying the "future of golf course spraying" at GIS2019 with their new ProGator 2020A/2030A GPS Precision Sprayers. Either the 2020A (34 hp lc gas engine) or 2030A (21 hp lc diesel) can be outfitted with the HD200 or HD300 spray systems. The GPS Precision Sprayers have Deere's AutoTrac hands-free Guidance System, automatic individual nozzle control, the StarFire 6000 receiver and an easy-to-learn 4640 Universal Display. Try Nualgi Foliar Spray for free... DDS says it's good! Skeptics are welcome to stop by the Nualgi booth #3818 (right by Club Car) to chat about the benefits of Nualgi Foliar Spray... of which they are offering a free 4-bottle trial along with a chance to win a golf trip for two to Whistling Straits ($5,000 value). 100 bottles of Nualgi can also be found in the Silent Auction. Nualgi is a nano-scale liquid fertilizer that contains all 12-essential macro and micro nutrients + Silica. It is sold in 500ml (16oz) bottles. Each bottle treats 2.5 acres once every 10 days by simply adding it to your current spray regimen. Nualgi can tank mix with any fertilizer, fungicide or nutrients. What does "nano-scale" mean? Very simply, it means the particles are so small (at least one dimension between 1 and 100 nanometers) that they can slide right into the leaf through the epidermis. Hemoglobin in blood is a familiar naturally-occurring nanomaterial. Nualgi Foliar Spray was in use at approximately 100 golf courses throughout the US and Canada in 2018, with some enthusiastic results. Long-time TurfNet member David Dore-Smith used it at Copperleaf Golf Club in Bonita Springs, Florida, and submitted the testimonial below. Lesco has added a granular formulation of it's "microbial and carbon plant health nutrient optimizer": CarbonPro-G. A liquid formulation - CarbonPro-L - has been previously available. Benefits of CarbonPro-G with regard to plant health include: Deeper, Stronger Roots - By stimulating root development, it protects turf and plants against environmental stress and maximizes water and nutrient uptake. Stress Recovery and Prevention - Containing microbial metabolites extracted from beneficial soil bacteria, it increases turf and plant metabolism resulting in increased tolerance to stress. Improved Greening - Highly soluble chelated iron (EDTA iron) in the formula is easily absorbed by the plant, providing a consistently lush appearance for turf and plants. Better Seed Establishment - By conditioning the soil, it accelerates seed germination and assures that roots take hold quickly and securely Increased Nutrient Uptake and Efficiency - The formula nearly doubles the absorption of key micronutrients, improving the efficiency and utilization of nutrients applied. Recovery from Environmental Stressors - Formulated to fortify plants against environmental stressors such as heat, drought, traffic, salinity and nutrient deficiencies. Check it out at the Site One Landscape Supply booth, #5537. Wiedenmann is showing the all-new Super 1300S high performance sweeper. Double sweeping rotors rotate at 860 rpm to create suction and dethatch the turf if desired. The PTO-drive SUPER 1300 S is super-maneuverable and can be driven off a 15-hp tractor. A large exhaust screen allows complete filling of the 56 cu. ft. hopper, which can be dumped at ground level or raised hydraulically to dump into a vehicle or container. Check it out in Booth 3442. GT Airinject (Booth 3817) is giving away a year-long lease on an Air2Go Value Pack. The Value Pack includes an Air2G2 324 machine, an Air2HP hand-held single-prong unit and an Air2GO shuttle trailer for moving the Air2G2 around the golf course and back and forth to the maintenance facility. The drawing of the winner is at 4:30 on Thursday. Interested in purchasing? Save $2,000 on the Value Pack with special show pricing. Stop by the STEC Equipment booth (4936) to check out the new airter light 14160 PTO-drive pneumatic turf aerator. Towed by a lightweight tractor, the airter light utilizes 14 airlances each with three nozzles to direct high pressure air into the surrounding soil, loosening it while introducing oxygen and promoting gas exchange. It has a working width of 62" and aerates to a depth adjustable from 3 to 10". John Deere is showing four new triplex greensmowers at GIS2019: the 2700 and 2750 PrecisionCut and the 2700 and 2750 E-Cut Hybrid triplex mowers. All are slated for availability in 2020. "Consistent cut quality across all operators, contour following and grass catcher accessibility are critical needs for our customers," Brad Aldridge, product manager, John Deere Golf, said in a release. "The 2700 and 2750 Triplex Mowers were designed to tackle these challenges and take the stress out of mowing, with an enhanced TechControl system that allows for more precise control than ever before." Superintendents and technicians can input commands to control nearly everything, including frequency of clip, turn speed, clean up pass speed and raise/lower speed The TechControl system ensures that, regardless of the operator, the end results are the same. The frequency of clip can be programmed by altering parameters on mowing speed, reel speed and number of blades on the reel. Once programmed, the settings cannot be changed by an operator and automatically adjust with ground speed. The preset Clean Up Pass Mode automatically reduces mowing speed on perimeter passes to increase accuracy for less scalping or missed grass. Adjustable turn speed lets a superintendent control how fast an operator is able to turn, minimizing chances of turf damage. A superintendent or technician also can select Eco Mode which electronically controls engine speed to conserve fuel. The 2700 and 2750 Triplex Mowers have a lightweight, open platform frame design with a low center of gravity for stability and traction. The decreased weight reduces tire tracking and compaction. The grass catchers, with a translucent yellow option for better visibility of clippings, can be easily removed and installed with one hand. The steering column also has been improved on the 2700 and 2750 models, with two points of adjustment. The 2700 and 2750 Triplex Mowers offer a 62-inch mowing width and mow speeds of up to 6 mph. The three-axis lift system provides up to 18 degrees of steering and 42 degrees of contour following. The all-new Toro Greensmaster 1000 Series of fixed-head walk greens mowers was designed to eliminate variability in the walk mowing process due to operator size and skill level. A telescoping loop handle can be adjusted to accommodate operators of varying heights, helping to deliver a more consistent cut while reducing operator fatigue. Handle isolation mounts give the cutting units consistent contact with the ground throughout the mowing process, eliminating any variability in the height-of-cut that can occur because of variations in handle pressure or differing operator strides. A new bail design combines safety and operational control. New operator controls, in conjunction with a shorter distance between the roller and drum, deliver more precise handling in turns as well as more consistent performance on greens with modest undulations. Another key focus during the development of the new Greensmaster 1000 Series was minimizing and simplifying maintenance. For example, with a modular design it now takes only minutes to replace an entire cutting unit or engine assembly, and backlapping can be done directly using transport wheels. The new Greensmaster 1000 Series models are powered by Honda GX120 engines, and are available in 18", 21" and 26" cutting widths. Availability is slated for spring 2019. Tru-Turf is introducing the RE50 electric turf roller at GIS2019. The 48v electric motor is powered by either traditional lead acid or lithium ion batteries. Quick release accessories include slitting, spiking and brush attachments, all changeable in seconds with no tools. The RE50 incorporates Tru Turf's patented tri-roller smoothing heads that are fitted with hassle free, self cleaning nodules to eliminate dumping and debris impact. Heavy duty sealed bearings, rubber cushion mounts and two greasing points help reduce maintenance requirements. Check it out at Booth 1031. Note, the black paint job on the RE50 on display is custom paint. The standard paint is traditional Tru-Turf red. No big surprise since it was announced prior, but nonetheless TurfNet's own Hector Velazquez finally put his hands on the prize as he received the Edwin Budding Award from GCSAA. The Edwin Budding Award, named for the inventor of the reel lawn mower, is given annually to an equipment manager or related innovator, technician, educator or engineer who has made a significant impact in the golf and turf business. Hector (c) with Darren Davis, CGCS (l), outgoing president of GCSAA. 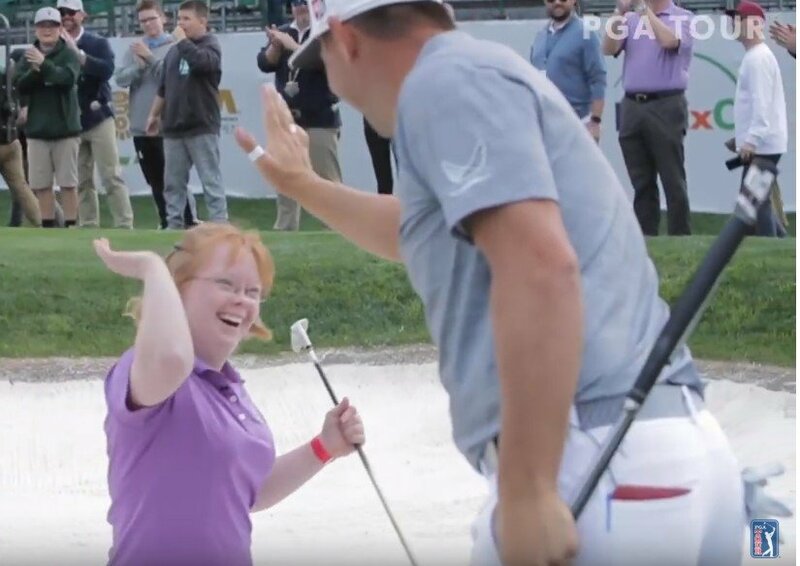 Hector got his start in turf video when he was the equipment manager at Westwood Golf Club in Vienna, Virginia, under long-time TurfNet member Walter Montross, CGCS. (In fact, Hector got his job at Westwood after answering a job advertisement on TurfNet.com and relocating to Virginia from Michigan.) Montross alerted Peter McCormick at TurfNet and mentioned that he should check out a video Hector had made about converting a Sand Pro into a "Snow Pro", with a front-mounted V-blade. Conversations ensued and McCormick set Hector up in 2010 with his own platform on TurfNetTV. The rest is history, as they say. For GIS2019, Hector organized a 2400 square foot replica maintenance shop (Inside the Shop), designed to help superintendents make attainable improvements to their own shop, regardless of budgetary or space constraints. Hector with Trent Manning, winner of the Most Valuable Technician award. Manning created the plaque that Hector is holding. Hector will also present the Tactical Shop Series, mini-seminars that focus on creating a more efficient, safe, and cost-effective work environment for equipment shops of all shapes and sizes. Sponsors include Lock 'N Lube and Foley Company. TurfNet tips our cap to Hector for making a name for himself that has few equals in the turf business. Just like Oprah, Madonna, Sting, Cher, and Prince, mention the name "Hector" and anybody in turf will know of whom you speak. Not too many individuals can make that claim. Check out Hector's Shop videos on TurfNet.com here. The latest Lynx 7.0 Central Control system update from Toro has improved monitoring functionality and enhanced diagnostic capabilities. This is the 14th update since Lynx was introduced in 2010. Lynx 7.0 now has seamless compatibility with Lynx Smart Modules, and can automatically identify individual smart modules after the initial installation process. The new system also has runtime controls to the second and measures inputs to 1/100th of an inch for precise control. All new Toro hardware platforms support run times to the second, whereas comparable systems can only offer runtime controls to the nearest minute. The upgraded operating system can retrieve voltage and amperage data, which is crucial to understanding the overall health of the irrigation system. Deciphering diagnostic information is also streamlined when using the new express mode. This process enables the superintendents to interpret information to forecast and predict potential system issues earlier. Some of the new features based on end-user feedback include interval day control to easily designate active and non-active days, enhanced map functionality, and intuitive controls for a user-friendly interface. As with previous updates, Lynx 7.0 is easily upgradeable, allowing for the incorporation of new versions and functionality, and works seamlessly with Lynx Smart Modules that can automatically identify the Lynx Central Control version being used. Lynx 7.0 will be available this spring. Toro has jumped into the all-electric triplex greensmower market with the introduction of the Toro Greensmaster eTriFlex Series. The new eTriFlex has no hydraulic fluid and utilizes all-electric components for traction, steering, lift and cutting units. The two new all-electric Greensmaster eTriFlex models are built on the TriFlex platform and include: The Greensmaster eTriFlex 3360, powered by a Kawasaki engine/generator The Greensmaster eTriFlex 3370, powered by a lithium-ion Samsung battery set. As expected, these greensmowers offer lower noise levels and no worries about hydraulic leaks, but also offer turning radius-dependent reel and traction speed control for improved performance. Each individual reel and traction wheel speed is monitored during turns to reduce "triplex ring". This feature standardizes the clip rate of each individual reel to avoid turfgrass thinning on the inside reel during perimeter cutting, and reduces wheel turf scrubbing to greatly improve the appearance of the cleanup cut, which ultimately leads to an increase in operational productivity. The engine-powered eTriFlex with battery assist technology is up to 20% more fuel efficient – resulting in lower emissions and fuel savings. The industry-first lithium-ion based battery powered unit also has ample power and is virtually silent during operation. The Greensmaster eTriFlex also includes an automatic slowdown in turns at high transport speeds, auto-brake functionality when the operator dismounts the mower, a foot-operated parking brake as well as an optional mowing slowdown setting to help protect the integrity of the collar. Finally, operators have more control and access to advanced diagnostic information than ever before thanks to the onboard InfoCenter. This easy-to-use control panel can adjust mowing and reel speeds, calibrate lift, steering and traction and engage the “slow-in-turn” feature to reduce damage on the fringe area of the green in turn-arounds. The Greensmaster eTriFlex 3360 engine-powered model will be available this summer. The lithium-ion eTriFlex battery powered model is slated to launch in late 2019. All Greensmaster eTriFlex models are compatible with existing TriFlex cutting units and accessories. Baroness is highlighting their new LM551 contour-following mid-weight fairway mower at GIS2019. Fully configurable to meet the needs of any golf course, the LM551 five-plex has traditional 22" cutting units but with a forward/backward slide function on the rear units along with a unique tension support and down pressure features to increase contour-following on undulating surfaces.. A choice of 5" or 6.4" reels is available. Each cutting unit has the option of 9 or 7 blades and can be fitted with a groomer, power brush, front roller scraper and newly designed grass catchers. The groomer and power brush can be operated simultaneously. Stop by Booth 4723 and catch up with Graeme Parris for a walk-through of the new LM551. BASF is celebrating ten years of Intrinsic brand fungicides and launching "the next generation of groundbreaking science" at GIS2019. Dubbed Generat10n Turf, the festivities in Booth 1939 include: breakfast tacos from 10-11AM on Wednesday a panel discussion at 11:00 Wednesday on Exploring New Fungicide Technology with Drs Rick Latin, Bruce Martin, Jim Kerns and Kathie Kalmowitz - and hosted by none other than the ubiquitous PAT JONES at 1:00 Wednesday, a panel discussion on Surviving (Thriving!) During a Course Reno with John Zimmers, Inverness Club, Justin DePippo, Bel-Air Country Club, Mike McCormick, The Apawamis Club and Rich McIntosh, Torrey Pines Golf Courses 3:00 Wed: panel discussion on Celebrating 10 Years of Plant Health with Bruce Martin, Kathie Kalmowitz and Jeff Corcoran. Last chance today to get a selfie with Pat! 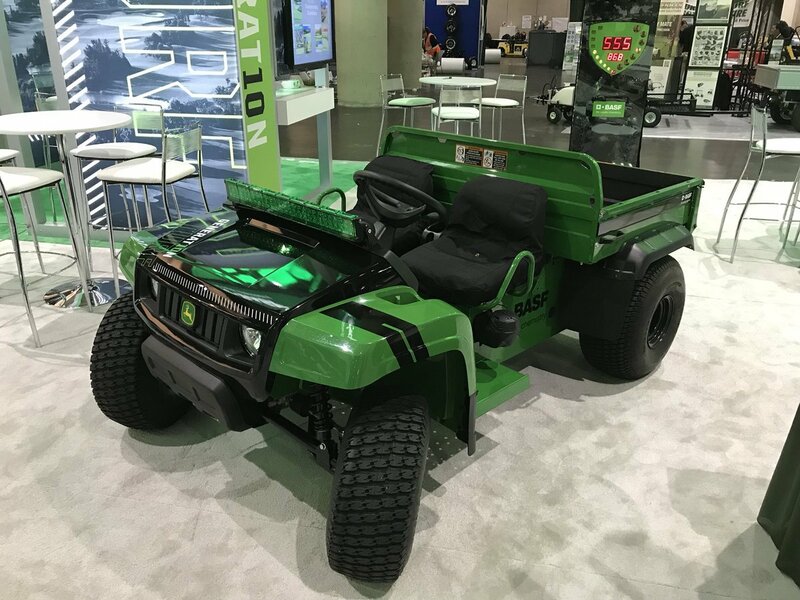 enter a drawing for a custom Generat10n Turf Gator test your strength against the power of BASF fungicides take a virtual reality tour of their next-generation plant health products Happy Hour from 4:00 to 5:00 Wednesday Enter a drawing to win this pimped-out Gator. Test your strength against the power of BASF products. Check out the Generat10n Turf VR experience. Not to be outdone: TurfNet is 25! While Toro and Turfco celebrate their centennial anniversaries in the golf turf business, why not note the 25th anniversary of the perhaps more improbable success story: TurfNet? You'll have to catch Jon Kiger or John Reitman on the fly at the trade show, as they have places to go and people to see. Maybe you can buttonhole one or the other for a souvenir TurfNet25 coaster from last night's Beer & Pretzel Gala (our 23rd) at the Half Door Brewery. Read about TurfNet at 25 here. There must have been something in the water (or the grass) in the Twin Cities 100 years ago for the Cities to spawn two major players in the turf industry, The Toro Company of Minneapolis and National Mower Company/Turfco of St. Paul (see Turfco 100). Toro was actually founded in 1914 but spent the first five years of its existence manufacturing engines for the Bull Tractor Company and other tractor and truck companies, and developing the first Toro-designed piece of farm equipment – the power cultivator – before shifting focus to mowing products. In 1919, Toro developed the industry’s first motorized fairway mower, the Toro Standard Golf Machine, for The Minikahda Club, in Minneapolis. By mounting five individual reel mowers onto the front of a farm tractor, Toro helped courses increase productivity by replacing the labor- and time-intensive use of horse-drawn equipment. The Minikahda Club is now looked after by long-time TurfNet member Jeff Johnson and his staff. A few historic examples of Toro innovations for the golf course industry include the first flexible frame fairway mower in 1921, the first golf utility vehicle — the Toro Knockabout — in 1930, new valve-in-head sprinklers in 1964, the Toro Sand Pro series in 1972, the first contour-following Flex Head greensmowers in 1986, and the first lithium-ion powered greensmower — the Greensmaster eFlex — in 2012. Toro credits their longevity in the industry to four key factors – listening closely to its customers, developing innovative products based on feedback and available technology, long-standing customer relationships, and establishing close cooperative ties with their distribution network to deliver excellent local service and support. Stop by Booth 1629 and say hey to George and Scott Kinkead, the third generation of the Kinkead family to lead a family business in the turf industry. With a lineage that started with the National Mower Company of St. Paul, Minnesota 100 years ago, George (president, right in the photo) and Scott (EVP) continue the family tradition of innovation, leadership and service to the golf turf industry. National Mower was founded by George and Scott's grandfather, Robert S. Kinkead, shortly after World War I. The early product line included horse- and tractor-drawn reel and sickle bar mowers. 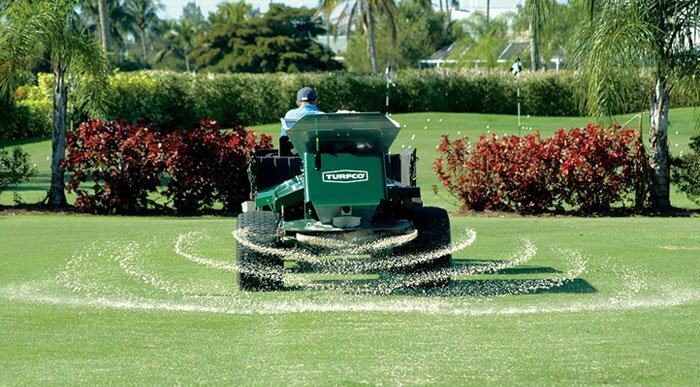 Turfco was founded in 1961 by John Kinkead Sr. (the brothers' father) with the introduction of the first mechanized topdresser... a welcome respite from wheelbarrows and shovel-slinging of the day. In celebration of the milestone, the Kinkead brothers will present a check for $25,000 to GCSAA's Environmental Institute for Golf Foundation. Turfco is also giving away a WideSpin 1550 broadcast topdresser and five Go Pro HERO7 Silver cameras in their 100 Years of Thanks Giveaway. Register here or at the booth. Once we had a working version ready, we went to existing customers that were interested in jumping on early in the process. A key with technology is to ensure its reliability, especially when it involves your members. This is important when testing new things in your operation as well. So we spent all of 2018 in a Beta, testing with a very limited number of clubs, tweaking and building until we got it just right. The results from the Beta program were extremely positive from every tester. Golfers love the platform and are more educated as a result. I have received emails like this frequently: Billy Weeks, Houston Country Club: “Our membership loves it! Congrats on a job well done with this app. If you need me as a reference for the app please use us.” Pat Ryan, Sands Point Golf Club: “Everything is working great. Members love the app and a majority have signed up. It has been a huge help with our communications.” And here we are, nearly 2 years later. Finally launching Conditions app at the GIS, fully confident in the reliability and success of the platform. Good things take time as they say. I think Conditions is something that is going to make your job a lot easier in the critical area of communication. Don’t be scared to jump on new tech when it’s done right. My Lesson Learned Never take the quick and easy route, do it right even if it will take considerably more time. Always opt for the professional-grade solution in your operation. Not rushing and taking our time we were able to perfect the functionality so it is ready for launch with no issues or chances of a third-party altering our course of action. The same can be done in your operation by testing out new things on your nursery or research sites, use tech with only your committee first, etc. and only using professional-grade solutions (vs DIY I talk about often). 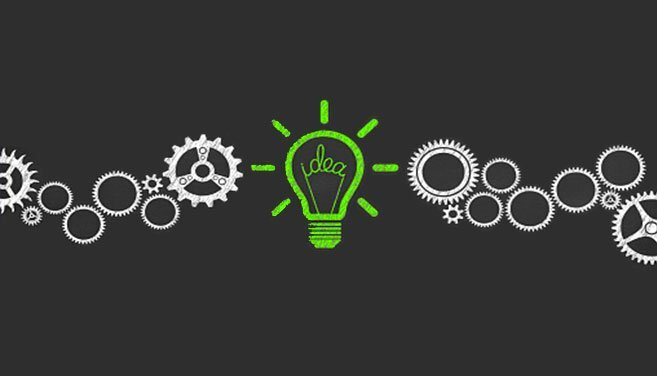 Always be ready to innovate to stay ahead of the curve, even if that innovation takes time and trial/error. Thanks for reading about this process, I felt it was a good way to explain a little bit inside our operation (delayed release of this app) and was an interesting business experience. Next post will be back to career/tech advice. Conditions App Information If you would like to see how the finished product came out and if it might help in your operation, you can visit goplaybooks.com/conditions.